Many prescription drug abusers have discovered how easy it is to use the Internet to obtain painkillers, stimulants and tranquilizers without a prescription. As part of an international crackdown on prescription drug abuse, the federal government has been taking action against online pharmacies that sell prescription drugs without requiring a prescription. In October, the U.S. Food and Drug Administration participated in a global effort to combat the online sale of illegal and counterfeit drugs. The effort, which was called Operation Pangea V, led to seizure of drugs valued at more $10 million and the shutdown of more than 18,000 illegal pharmacy websites. The U.S. Justice Department has targeted online pharmacies since 2005. The agency’s focus has recently moved beyond individual website operators to the service providers that have enabled drug sales and deliveries. In 2011, Google agreed to pay $500 million to the Justice Department to settle charges that it displayed ads for Canadian companies that sold prescriptions illegally to U.S. consumers. Under the settlement agreement, Google acknowledged that it assisted the online pharmacies and will submit to additional compliance measures as required by the Department of Justice. The latest companies to be targeted by the federal government are Federal Express and UPS, the largest shipping companies in the nation. Both companies are being investigated for their business dealings with illegal online pharmacies. CBS News reported that UPS announced that it is cooperating with the investigation and is exploring a settlement with the federal government. FedEx spokesman Patrick Fitzgerald called the Department of Justice probe “absurd” and denies any wrongdoing on the part of the delivery company. He also said that the company has no plans for a settlement agreement with the federal government. The National Association of Boards of Pharmacy has found that less than 3 percent of Internet pharmacies operate in compliance with state and federal regulations. The FDA recommends that consumers limit their legitimate drug purchases to online pharmacies located in the U.S. A licensed pharmacist should be available for consultation and a prescription should be required for drug purchases. Google, the internationally-known search engine and online advertising company, is being investigated by federal regulators for displaying ads for illegal pharmacies that sell prescription drugs online. These illegal pharmacies sell legitimate prescription drugs without a prescription as well as counterfeit drugs. Now a recent Securities and Exchange System filing by Google indicates that the company is setting aside $500 million in the event that they are fined for their drug advertising practices. This sum represents 22% of the company’s net income of $2.3 billion. If Google is fined $500 million or more, it could the largest penalty of its type ever paid to the U.S. Department of Justice. This reflects the enormity of the problem of online prescription drug sales. A study by doctors at the University of California and Massachusetts General Hospital found a link between the increase in prescription drug abuse between 2000 and 2007 and the increase in the number of homes with high-speed Internet access. States with the most expansion in high-speed access had the greatest increases in emergency room admissions for prescription drug abuse. According to Dr. Anupam Jena, one of the study’s co-authors, the prescription drugs that are most frequently purchased illegally online included narcotic painkillers like OxyContin and Percocet, ADHD medication like Ritalin, and anti-anxiety drugs like Ativan and Ambien. Prior to the investigation, Google reported that it was trying to restrict ads from rogue pharmacies by only accepting ads from pharmacies that are certified by the U.S. National Association Boards of Pharmacy or by the Canadian International Pharmacy Association. 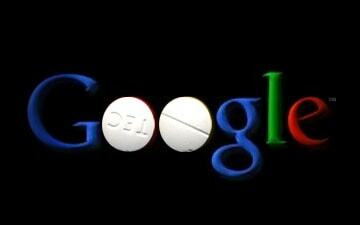 Drug abuse experts and law enforcement officials doubt the success of Google’s efforts in this area. The Wall Street Journal reports that Google and other online advertisers have recently earned about $1 billion per year from both online pharmacies. 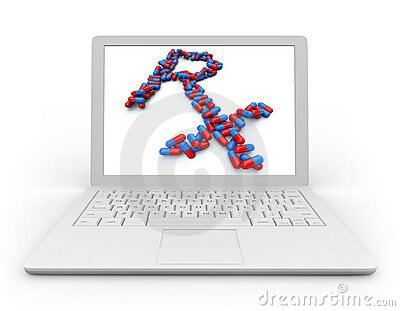 The WSJ also reported that about 96% of online pharmacies appear to be violating pharmacy standards or laws. For example, many illegal pharmacies that appear to be in Canada actually ship drugs from China, India and other offshore locations. How to rogue pharmacies stay in business? 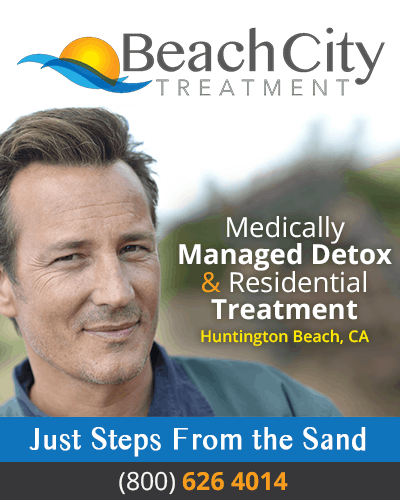 According to Joseph Califano, Jr., founder of Columbia University’s National Center on Addiction and Substance abuse, “It’s very hard to police these sites because they change every couple of days.” The sites are only able to stay in business because of ads displayed through online advertising services like Google AdWords. Califano warned Google about the problem in a 2008 letter, saying that he had found ads for rogue pharmacies displayed when he performed Internet searches for certain drugs. Google never responded to Califano’s letter.